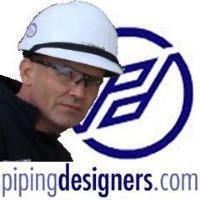 The pipers at CoSyn WorleyParsons in Calgary are declaring May 29 International Piping Designers Day! Given that it's so soon, let's all do something small (or big) to celebrate. Organise a get together or lunch with pipers in your office. Meet pipers in your town / city for a night out! Make it a regular thing ... network with pipers face to face. Let's follow the Calgary pipers and make this an annual event .... starting this Friday!! Anyone needing help contacting other pipers - drop me a message, and I'll see if I can help! Use the comments below to tell us how you will celebrate it!